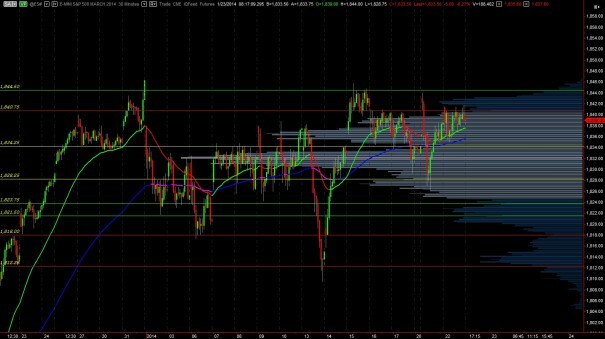 Strength rolled into equity futures overnight after a mild and choppy globex session cruised through Sunday evening and MLK. 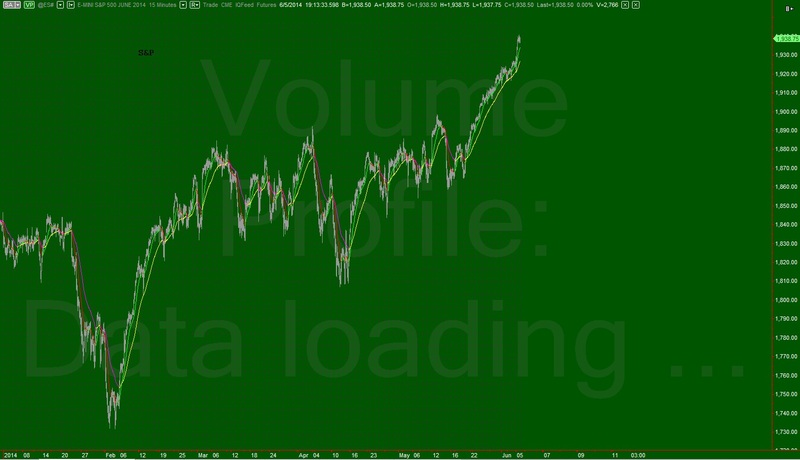 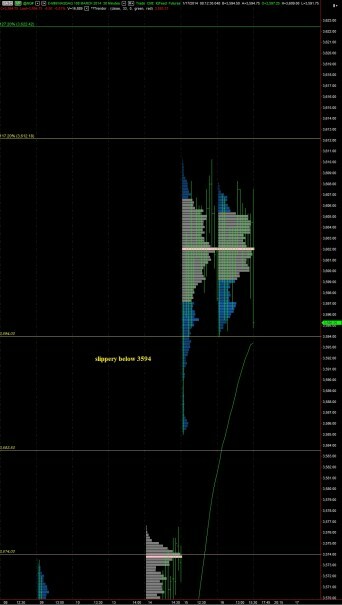 When the markets opened at 7pm last night they were met with buy flow which pressed prices above Friday highs before finding sellers. 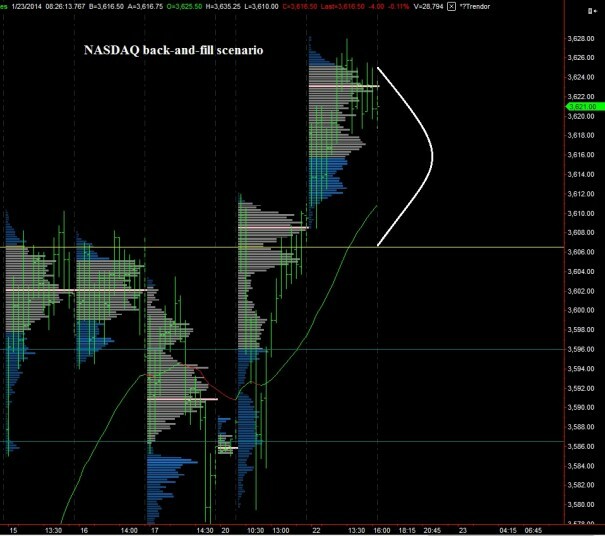 Turning attention to the NASDAQ futures, the marketplace found sellers at 3609, which was the overnight high last Friday and is 1.25 points below our current swing high at 3610.25. 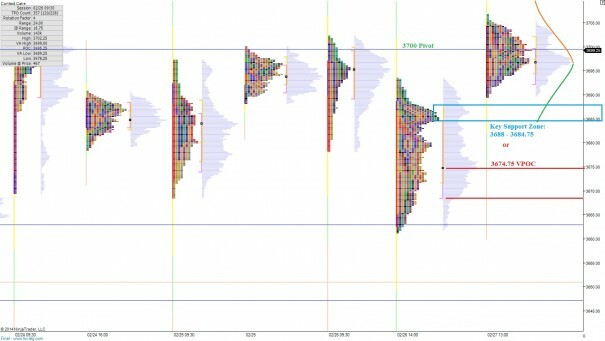 Friday printed a neutral session which features range extension on both sides of the initial balance. 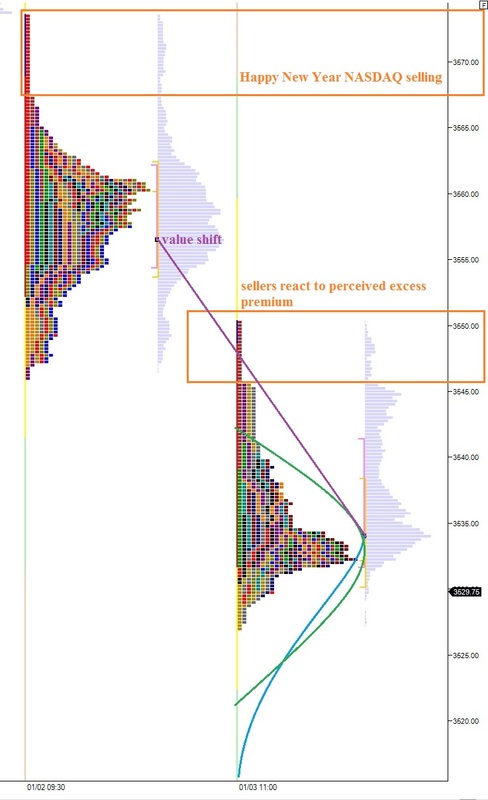 It suggests indecision. 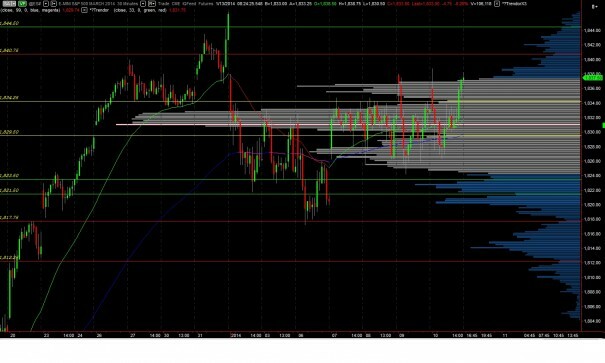 The late afternoon selloff makes sense, as option expiration occurred and speculators perhaps reduced risk into the long holiday weekend. However, their profit taking was met with aggressive buying of the reactive variety which made it clear demand exists for NASDAQ exposure (and S&P). 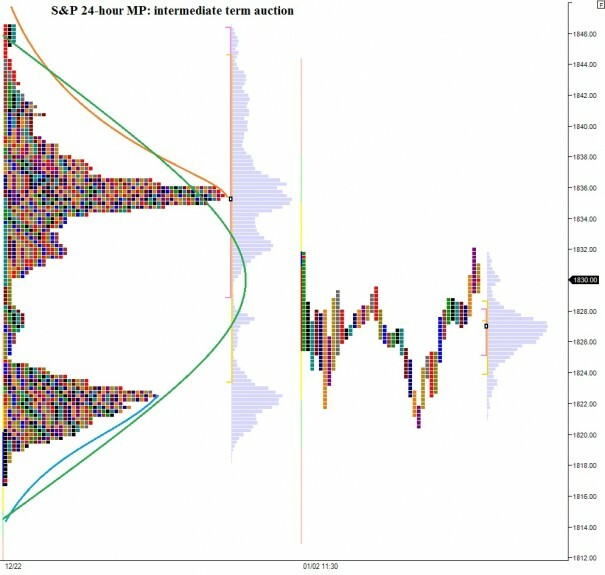 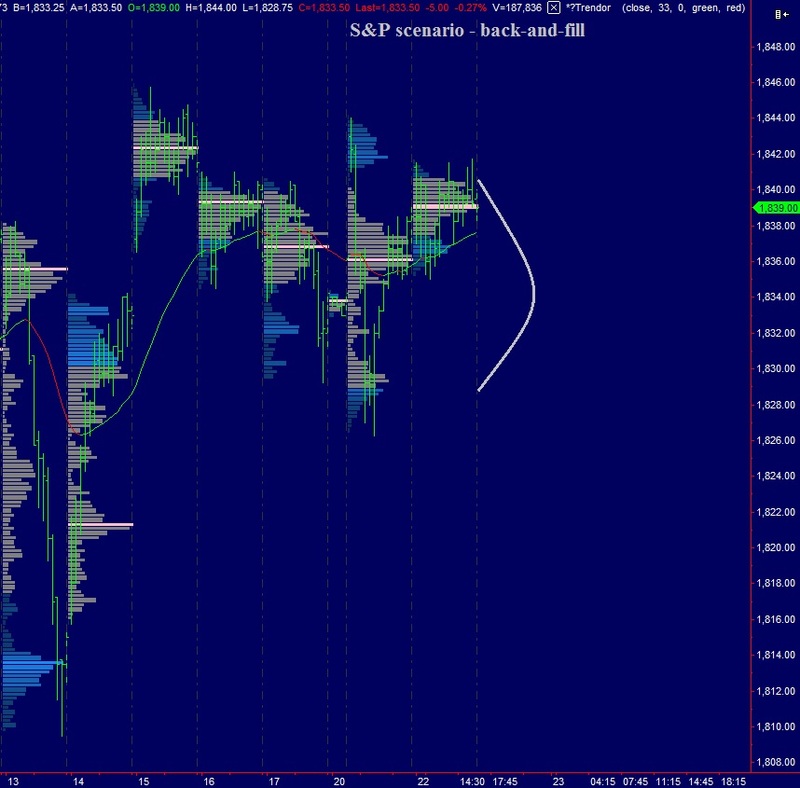 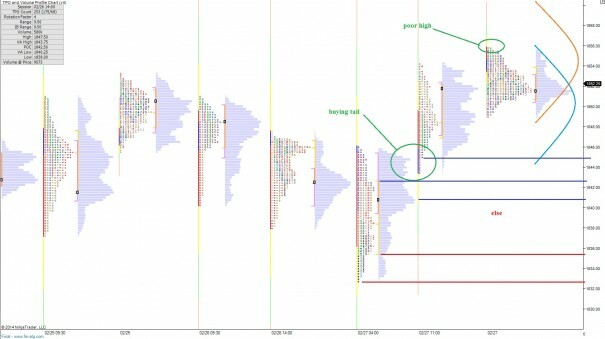 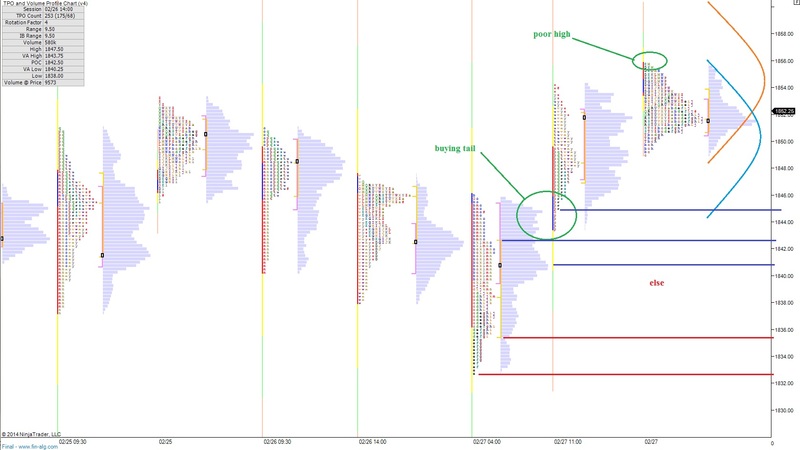 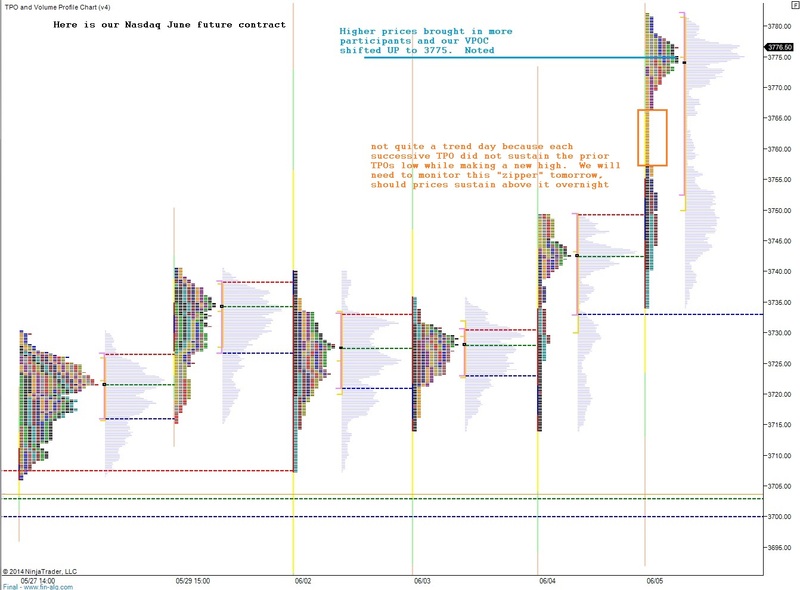 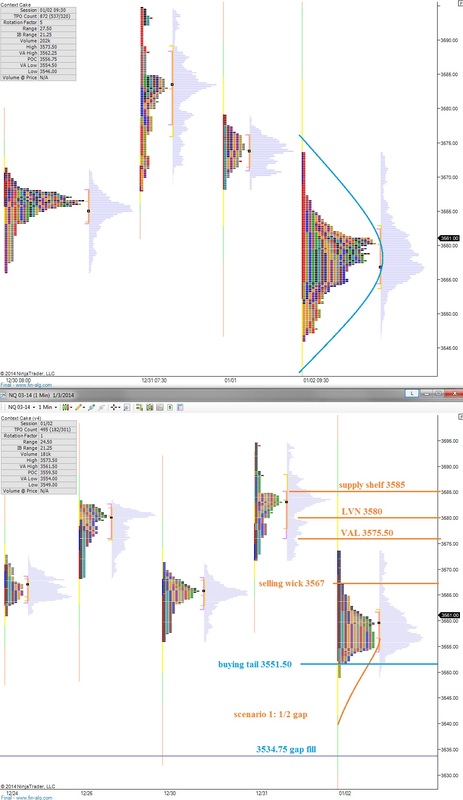 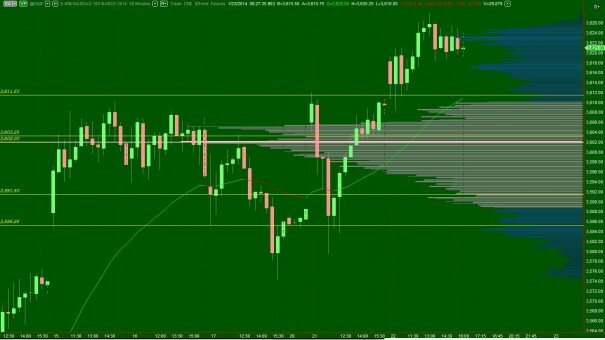 The afternoon selloff was effective in shoring up the wide open gap left behind last week Wednesday, and price stopped just a tick above the naked VPOC at 3574. 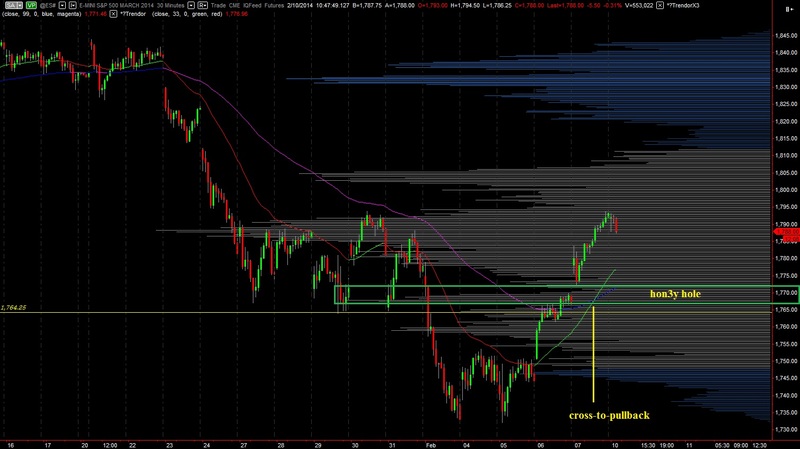 Any trade sustained above this level keeps us outside of intermediate term balance, and increases the propensity for a large move.—either a harsh rejection of higher prices, or a discovery exploration higher where the market seeks to locate new balance. My primary expectation is for some selling to come in early on and work the overnight inventory lower to close the gap down to 3586. 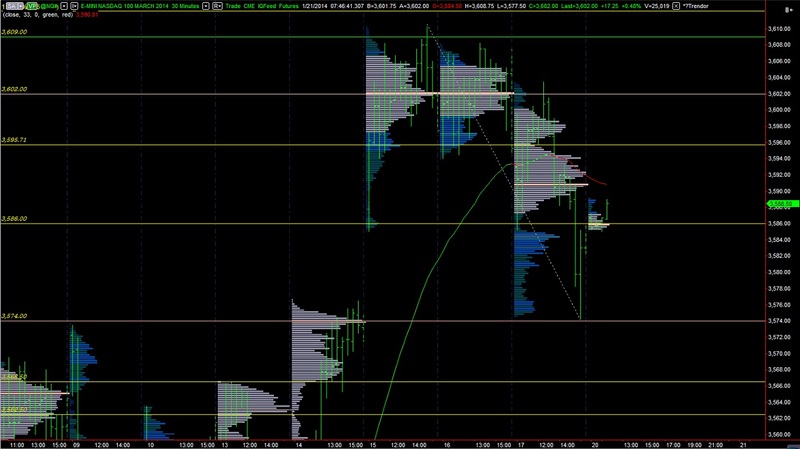 Should we instead see buyers driving off the open, I have upside targets of 3610.25 (swing high), 3612.25, 3616.75, 3620.50, and 3622.50. 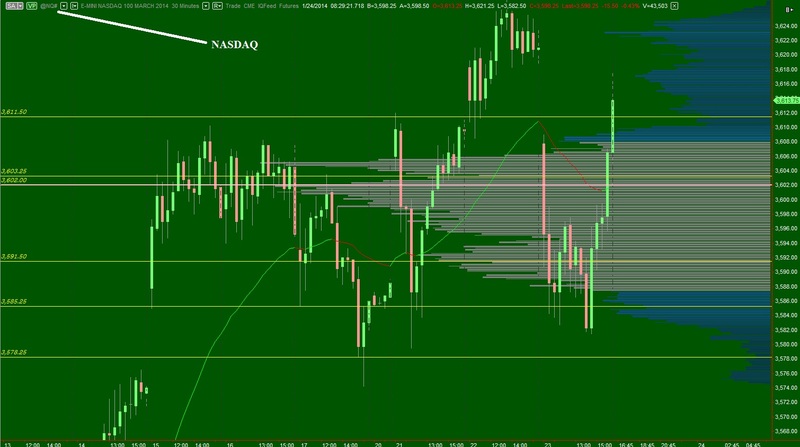 In essence, there are many algorithmic buy stop targets above. 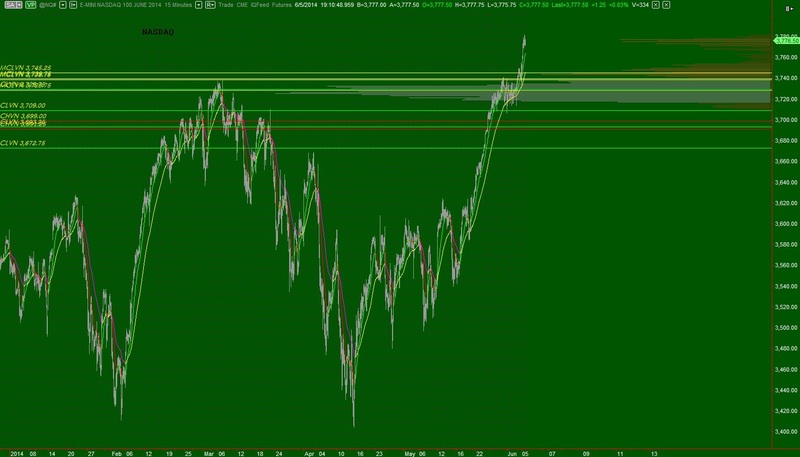 They may either trigger a temporary short squeeze, or be the catalyst to our next let higher. There are no major economic releases today. 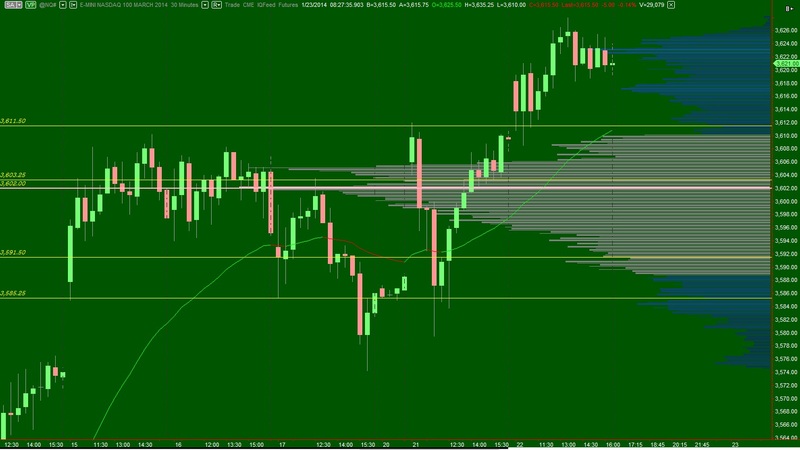 We are set to open in range, but outside of value. This is an elevated risk/reward environment intraday. 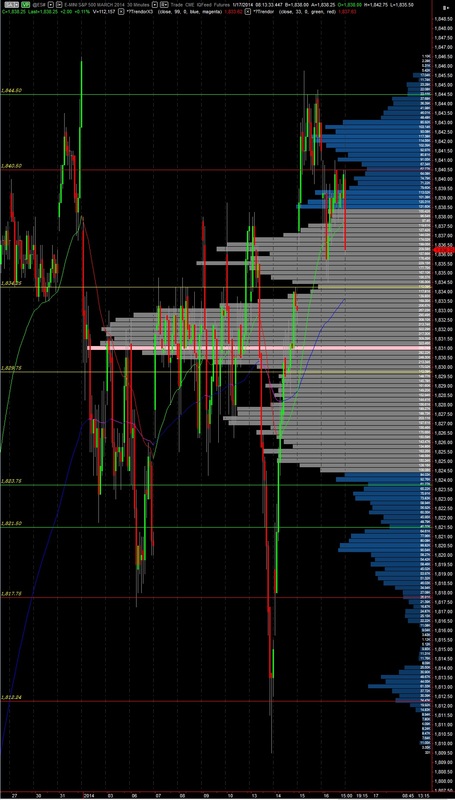 Note: On the S&P futures via the /ES, I am looking for sustained trade above 1844.50 to signal a shift from intermediate term balance to long timeframe control. 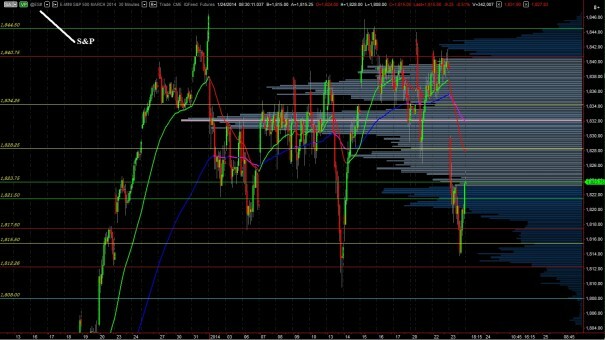 USA indices are up slightly during the globex session, despite notable weakness in the Asian markets. The NASDAQ continues to lag the S&P, The Dow, and the Russell index. 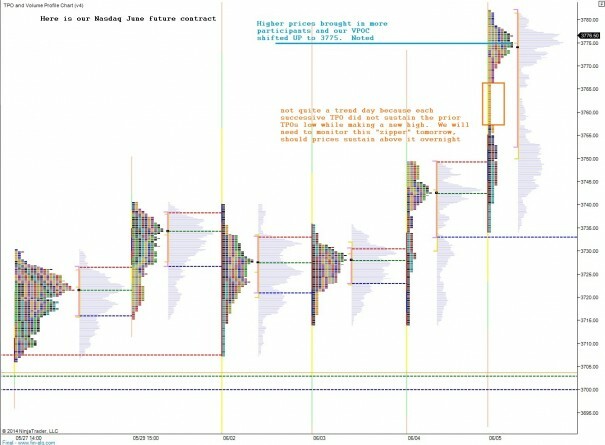 December 20th was a big day on the S&P 500 (aka $SPX aka /ES_F) where price extended upon the large trend day only two days prior. The events of December 20th set the stage for a holiday drift of benevolent proportions. Then yesterday came and we erased the entire drift in one foul swoop. Or did we? The balancing process is an interesting natural phenomenon driven by the collective actions of all market participants. 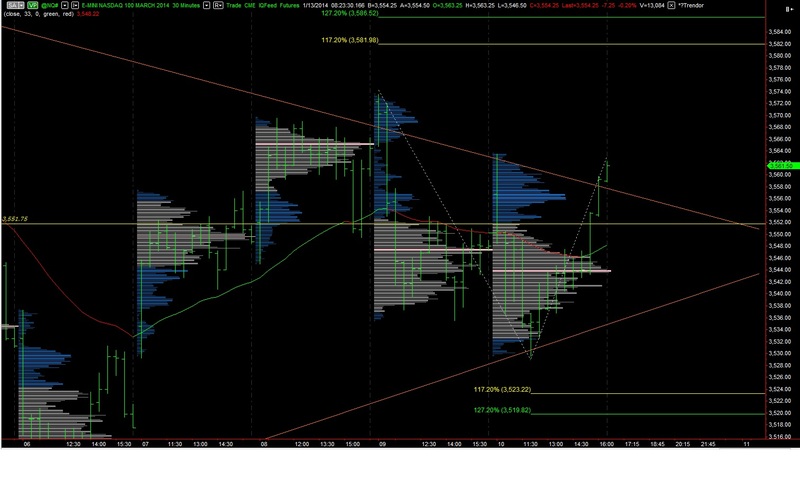 Yesterday the sellers were in control but intermediate term we are working through a balance. 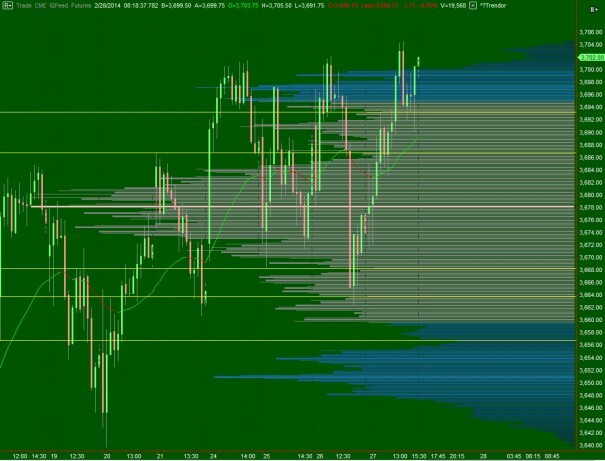 Overnight our range was larger than recent past where the action has been benign. 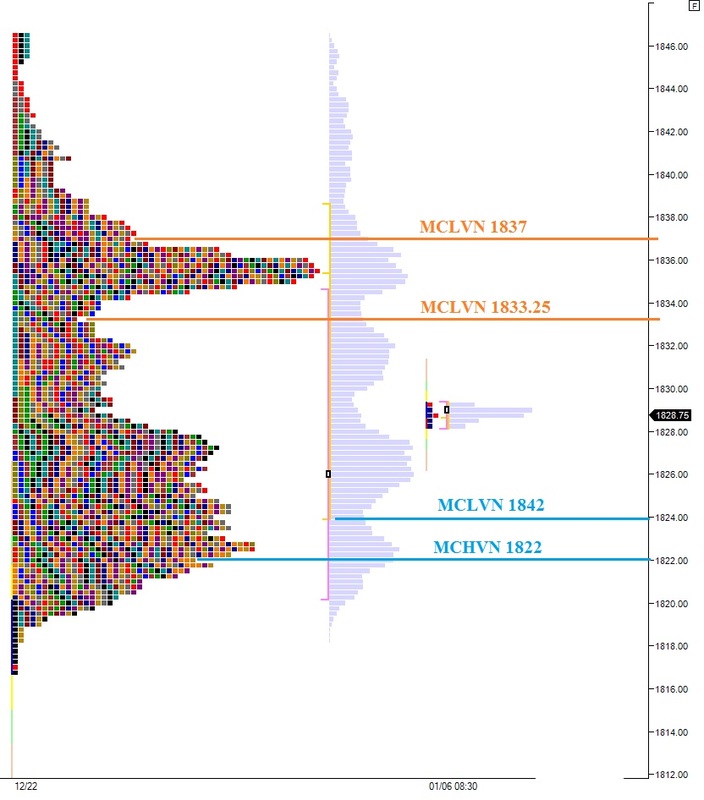 Sellers could be seen early in the evening beating price lower at 1829 and producing a wonderful rotation down to 1820.50. This is where we can see the intermediate term balance/auction come into control—buyers defended the price zone and their demand was strong enough to propel price a tick above yesterday’s RTH range. 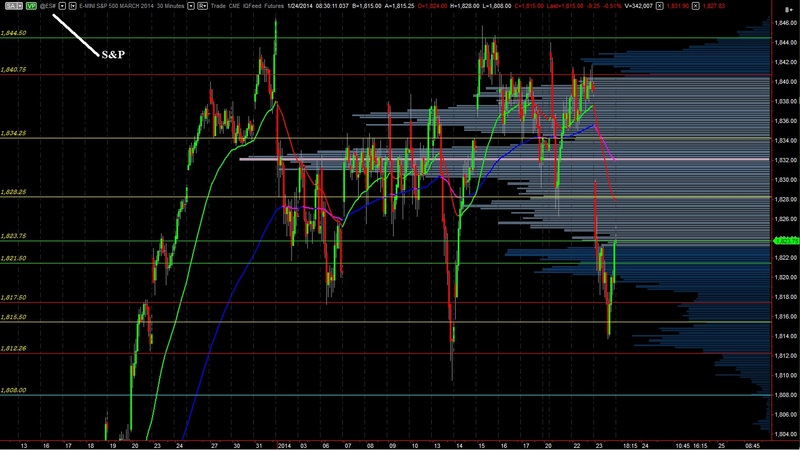 The bad news for bulls is we typically do not set swing high/low during the overnight session. Thus the downside is vulnerable. 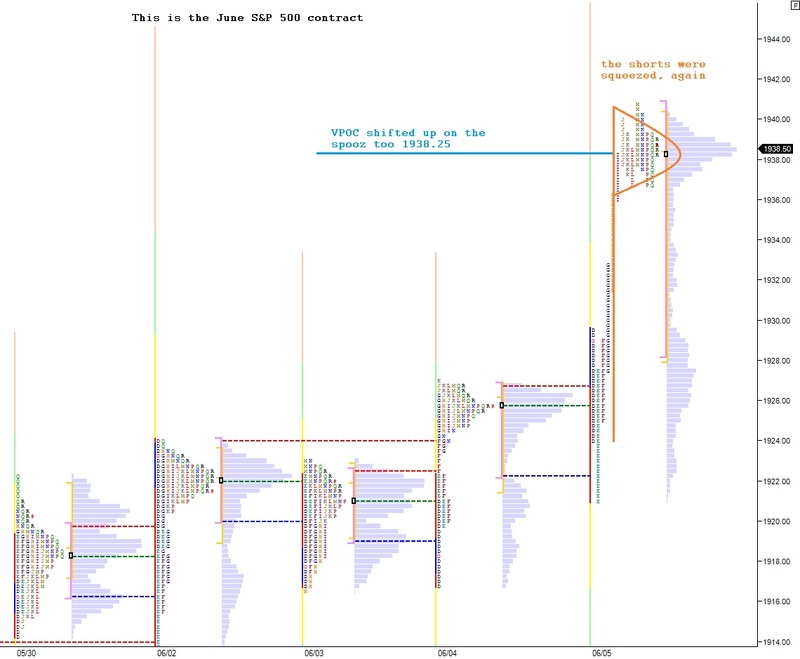 The good news is we are seeing healthy market activity and participation by both parties.